2015 Ambassador Sam holds a special valentine. Watching the big game? Turn it into a fundraiser! Bring out your donation jar and every time there’s a touchdown, field goal, or safety during the Super Bowl, ask friends to contribute. 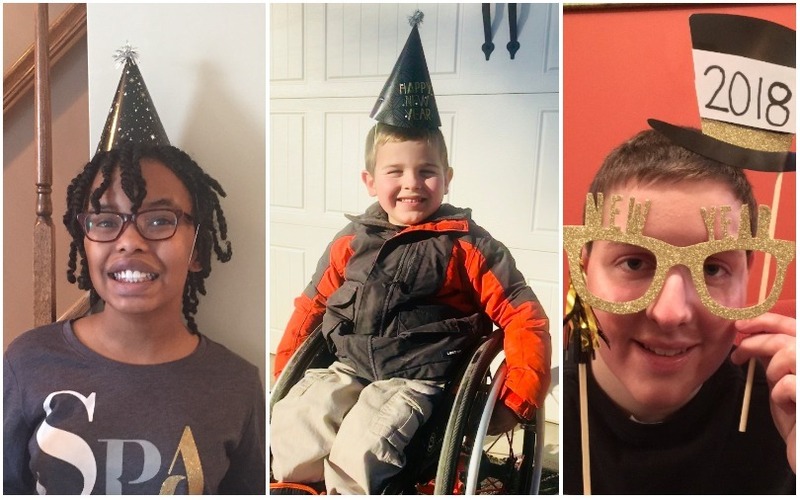 St. Baldrick’s 2018 Ambassadors (from left to right) Julia, Kellan and Zach wish you a Happy New Year! 1. New Year, New You! Challenge others to give up an indulgence for the month – then ask them to donate what they would have spent instead. They can abstain from drinking their favorite beverage or eating out and give what they save. Ah, the holiday season. 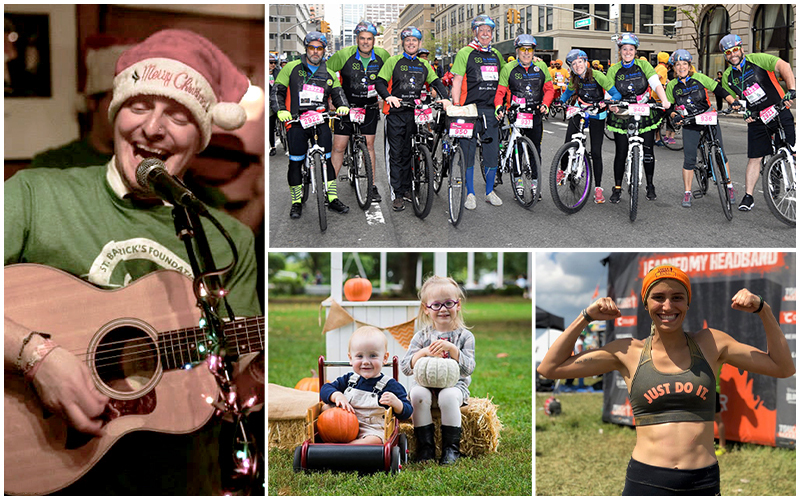 We know fundraising might not be at the front of your mind during the busy holiday season, but you can easily raise money for kids’ cancer research with fun holiday activities that are sure to get you into a festive mood. Check out these 9 ideas below. 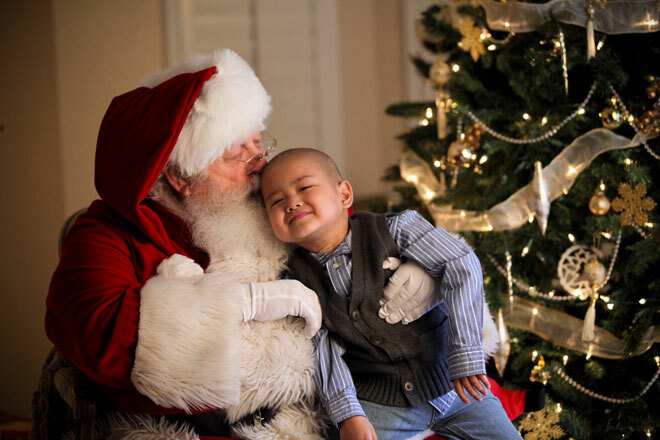 2014 Ambassador Alan gets a kiss from Santa Claus during a special photo shoot, a month before he passed away. 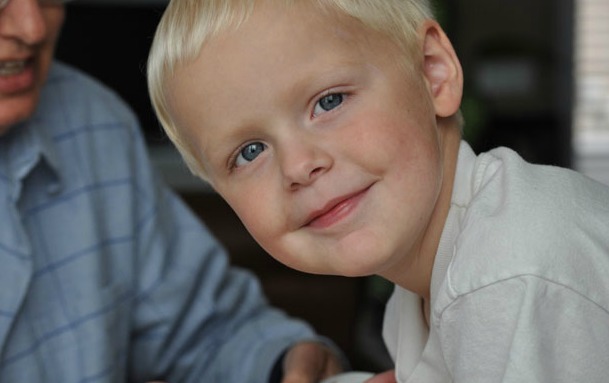 The 5-year-old fought childhood cancer for most of his life after being diagnosed with a rare sarcoma in his hip. 1) Ditch the gift exchange! Turn your company holiday party into a fundraiser. Instead of buying gifts, ask co-workers to “fill the stocking” with donations, pay for entry into the “Ugly Sweater” contest or create your own fun activity. Then see if your company will match your contributions! Every two minutes a child is diagnosed with cancer. That means 25,000 kids around the world will hear the words “you have cancer” this month alone. 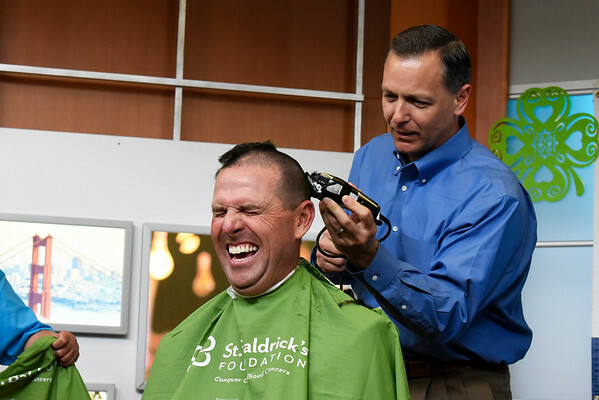 Top fundraiser Corey Hutchinson gets a little taken off the top during a head-shaving event at this year’s Tech Tackles Cancer fundraiser in Palo Alto, California. But there’s hope. Did you know that the St. Baldrick’s Foundation is the largest private funder of childhood cancer research grants in the world? And this Childhood Cancer Awareness Month, we are inviting you to join us. Your corporation can help fund life-saving research, wherever it takes place, so kids can lead long and healthy lives. Here are 5 easy ways your business can take childhood back from cancer. 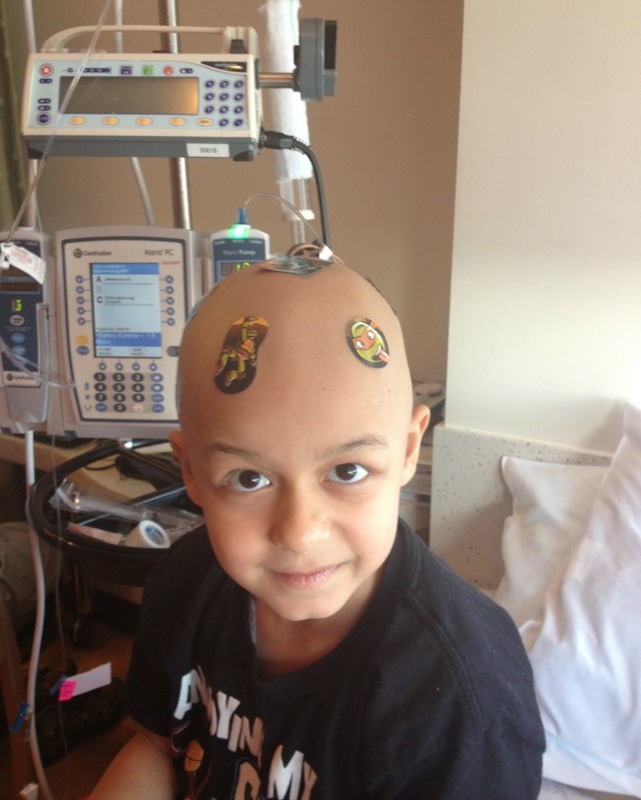 Zein goofs around at the hospital during treatment for neuroblastoma. When Honored Kid Zein grows up, he wants to invent a food that heals cancer and allows kids to get better without getting sick from chemo or having to swallow pills. This very cool idea is brought to you by a 10-year-old boy that his mom, Radwa, called “the most chill kid” you’ll ever meet. Zein is “silly, humble, super kind and loves to be there for everybody else,” she added. 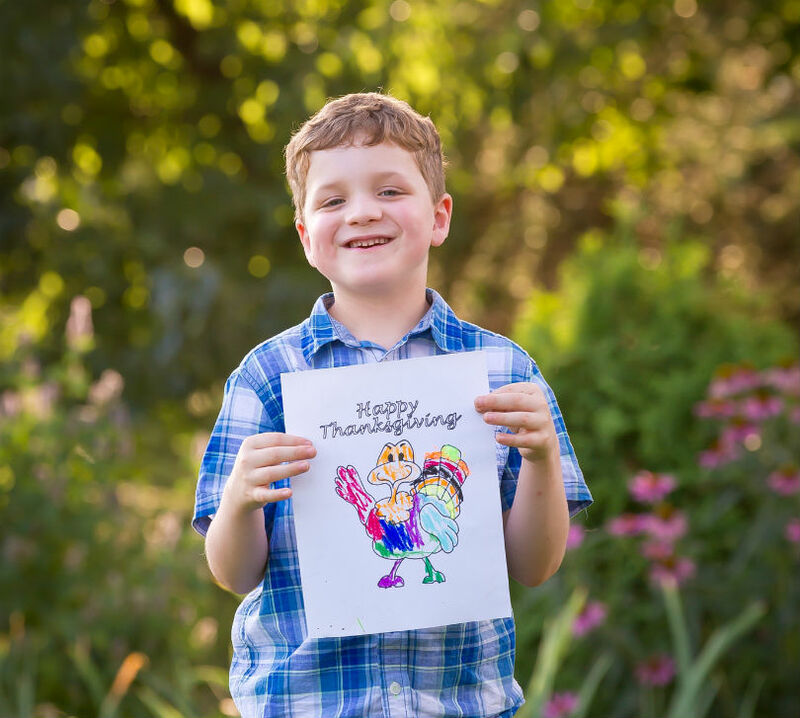 Miriam’s son Holden was diagnosed with Stage IV Wilms tumor in 2010. Now, three years after his death, Miriam thinks of her son whenever she hops into her car. Why? Read on to find out how Miriam has turned something we see every day into a memorial for her son and a unique fundraiser for childhood cancer research. 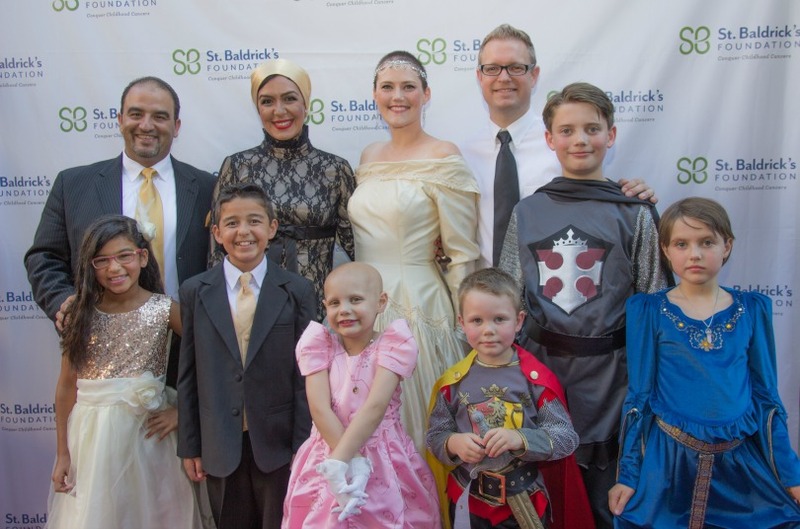 In October 2010, St. Baldrick’s 2016 Ambassador Holden was diagnosed with Wilms tumor. He lost his left kidney and endured intense chemo and radiation treatment. Holden showed no evidence of disease for about a year, but then a tumor was found on his other kidney. Before he could receive a kidney transplant, cancer was found in his lung. 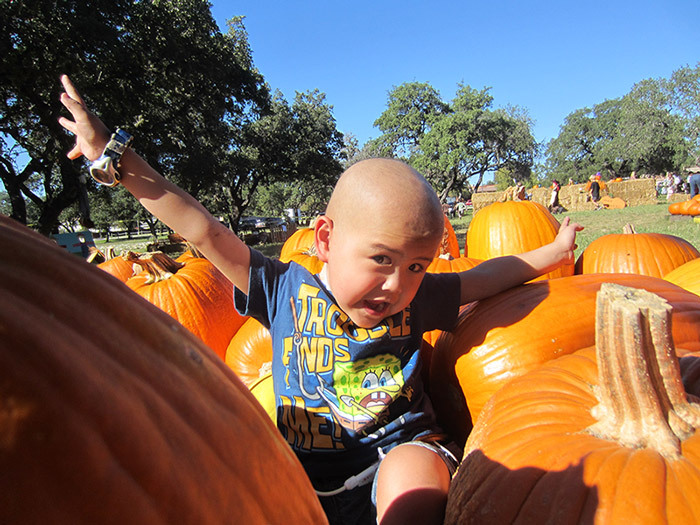 In 2012, we celebrated a year of remission for our son Holden with our first head-shaving fundraiser for the St. Baldrick’s Foundation. Several months after that event, Holden was back in treatment for the same cancer on his other kidney. 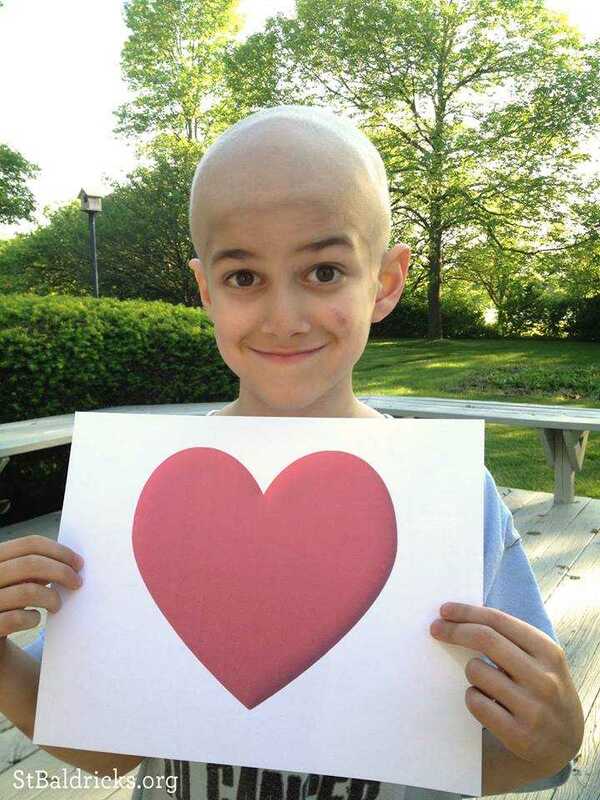 When cancer stole him from us in May 2014, we decided that a Hero Fund with St. Baldrick’s was the best way to honor Holden’s memory and work to fund research. We have organized head-shaving events and Do What You Want fundraisers since then, and we are always looking to do more.